Pure Nx BT Sale! Prices Start at Just $1,349! 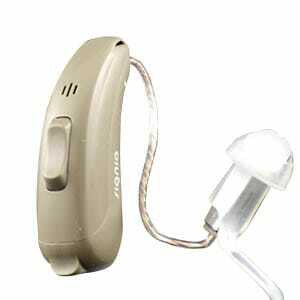 The Signia Pure Nx series is Signia’s newest “made-for-iPhone” hearing aid with advanced “Own Voice” technology*. Own Voice Processing detects your own voice and adjusts automatically to provide clearer, sharper hearing in conversations. Signia Pure Nx continues a tradition of technological excellence with advanced features like automatic adaptive directionality, SpeechFocus, Tinnitus Management and discrete control from your iOS based smartphone with the myControl app. Signia Pure Nx uses high-definition binaural technology to combine the input and processing power of a pair of instruments to allow you to hear more clearly in even the most challenging situations.made-for-iPhone” hearing aid that gives you high-fidelity speech discernment with true aid-to-aid communication for better awareness of your surroundings. You can now enjoy “better-than-normal” hearing (according to clinical studies) and direct streaming of calls and media from your iPhone. Designed for people with a wide range of hearing loss, from mild to severe, the Signia Pure Nx BT is an RIC style, digital hearing aid that uses the size 312 battery. Signia Pure Nx BT hearing aids include a 3 year warranty PLUS loss and damage insurance. Also, each hearing aid purchase from Precise Hearing comes with a 100% money back return policy – so your satisfaction is guaranteed. *Note: Own Voice programming is not available through Precise Hearing as it requires an “in-person” office visit. You must separately arrange for this programming through a local Siemens / Signia dealer if this feature is important to you.